#1 Seek Help From The Best Professional You Can Find. A major goal in psychotherapy is for you — the client— to discover your power to make the changes you want to make. In the beginning this may feel impossible. If you are like many of my clients, you have multiple issues unlikely to respond to one simple solution. It can be difficult for you to sort out your issues without the assistance of someone else. You might not even know where to begin. 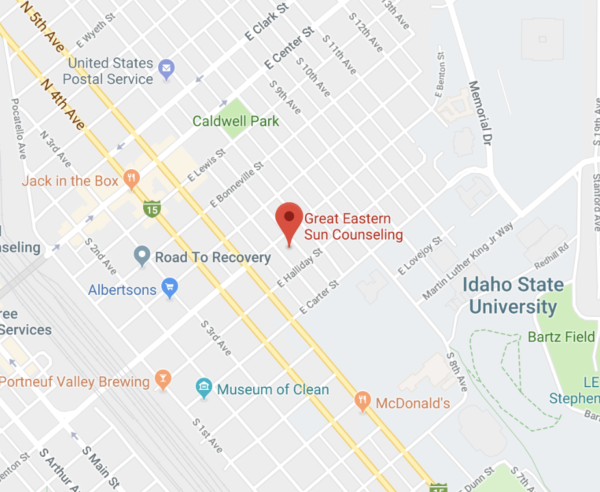 Finding the best psychotherapist in the area (in Pocatello, for example) may be a challenge but, if you take the time to interview a few, you can get a sense of who might be the best person to work with. Take advantage of the free consultations that many therapists offer. A good fit is very important and it can be challenging to figure out what to do if you are working with someone who doesn’t seem to “get” you. The best strategy is to simply call the therapist and explain you’ve decided to go in a different direction. #2 Educate Yourself On What Psychotherapy Is. When you understand what psychotherapy involves, you can make good decisions about how to go about it, such as deciding when to start, choosing a therapist, the best way to participate, knowing when you are done, and maximizing therapeutic results. In the upcoming months I will be posting a series of articles on these topics to help you make the best of your investment in time and money. To receive these articles, you can sign up for my email list called Making Therapy Work by clicking on the sign-up button below. I will try to take the mystery out of what psychotherapy is so that you know what to focus on each step of the way. There are financial considerations, too. I will talk about those as well. You will receive suggestions about what you can do in-between sessions to maximize your results. I will also clarify how personal change takes place so that you know what to expect and how you might ensure success. Therapists generally differ in their methods and theoretical orientations. If you live near a university (such as in Pocatello) you will find that many locally trained therapists tend to have similar approaches. You might also consider therapists who have trained in other parts of the country where different approaches are taught. For example, most of the work I do is informed by the view that mental health symptoms are an outcome of past adverse events where there hasn’t been psychological closure. Whereas we found ways to cope with events at the time these events happened, the coping methods learned back then may not serve us at all in present life, sometimes leading instead to suffering and/or chaos. We may not even be aware of what we do to contribute to our pain. However, any repeated life pattern is strongly suggestive that something remains unresolved regardless of whether you are aware of what that is or not. The goal in my kind of psychotherapy is to help you become aware of these patterns and their root cause so that you can identify what needs attention and resolution. Another therapist may take a different approach. Most (if not all) therapeutic approaches address the misperceptions and misinformation that our minds assume to be true. 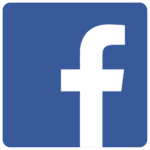 In fact, according to widely accepted scientific research, all the “brand-name” approaches to therapy are considered equally effective, provided certain elements are in place. Depending on your personality and what you want to work on, one approach may feel more appropriate to you than another. It may be helpful to consider one important aspect of psychotherapy, the therapeutic alliance, a term that refers to the working relationship between you (the client) and your therapist. Therapeutic alliance is an important topic because psychotherapy by definition takes place in relationship with another human being. It is a relationship-based learning situation and so it is important for you to be aware of how you and your therapist relate to each other. When you go to a session do you feel heard and respected? Are you able to talk about what you want to talk about? A good therapeutic alliance involves a two-way exchange where both you and your therapist are jointly in charge of making sure sessions are on target to address your issue. Obviously there is something else about the therapeutic relationship that is important for healing and change. Otherwise we could just as well go read a self-help book and be done with it. When you work with a therapist you benefit from the added plus of the interpersonal space where new ways of being can spontaneously emerge. #5 Know Your Mind Is Organized Around Social Connection, Even In Therapy. Whether you are aware of it or not, you (as a human being) are quite sensitive to your interactions with other people. Psychotherapy is no exception. It is a special type of interaction. A good therapist is not supposed to have a personal agenda at all in relating to you, other than to help you resolve your issues. She is trained to be as safe, predictable, attuned and empathetic as much as she possibly can. Your experience of these qualities can go a long way in easing the kind of anxiety and stress that interferes with self exploration and change. A good therapist “holds space” which means she brings her entire presence to the session. She pays attention to what you say without judgment, accompanying you wherever you need to go. Within this interpersonal space you can feel more empowered to try new things, learn and grow. #6 On The Other Hand, Expect Your Therapist To Be Imperfect. Ideally therapeutic ruptures are seldom but they are normal. The key to successfully dealing with a therapeutic rupture is to notice it as soon as possible and make your observation known so that the rupture can be addressed. Then you and your therapist together focus on getting your relationship back on track and in sync. Therapeutic ruptures are relevant because all relationships involve disconnection (rupture) and repair (getting back in sync). What you learn in session about this important process can be brought into your relationships in everyday life. Working through and skillfully resolving relationship disruptions can lead to greater understanding and trust. This is true both for your relationship with your therapist as well as your relationships outside of session. In other words, most relationships are workable. Hashing it out with your therapist is a great way to hone your skills at relationship repair while in the safety of a therapy relationship. It is also important to notice if there is a similarity between relationship problems you have with your therapist and relationship problems you have experienced in other parts of your life. If so, your therapist can be the ideal person to work with to explore and resolve self-defeating thoughts and behaviors that make relationships difficult. #7 Consider The Therapeutic Relationship As A Partnership. You are an expert on the issues you are dealing with and you know yourself best. Your therapist will need to draw on this expertise. At the same time, your therapist specializes in resolving mental health symptoms and can guide you through that process. Consider her an equal partner in your journey to self discovery. When you and your therapist closely collaborate, your combined knowledge can lead to something greater coming out of sessions. A relationship of equal participation and mutual respect maximizes the potential for what is possible. Your job is to stay engaged in the process and to assert yourself. Your therapist can help you have insight by mirroring what you experience and help you stay focused. She can offer a different perspective of you and your life. She is trained how to ask questions and make statements to further you along in your inquiry. Psychotherapy is a perfect opportunity to learn how to gently turn towards what is difficult and messy. There is a strong human tendency to do the opposite and stay away from whatever feels unpleasant. Yet avoidance plays a factor in just about every mental health issue I know of. It can be difficult to be honest when there is a strong urge to avoid discomfort or pain, yet honesty is critical for therapeutic success. When you are ready to face your issues, you and your therapist can work together to resolve the source of your pain and difficulty. A psychotherapist can help you take on what you don’t want to face alone, holding the space so that you can process your emotions and decide what to do. #9 Keep The Faith In The Process. Scientific research indicates that psychotherapy is as effective as other kinds of medical treatment. You, as client, bring important elements to the process, namely your intelligence, your awareness, your motivation and your life experience. You have to believe you are capable of changing or you won’t even try, even when it feels important to do so. Feeling hopeless and having a lack of confidence in yourself are matters where psychotherapy can really be of help. Your therapist can give you important reasons to have hope while helping you establish a stronger connection to your strengths and other important resources for change. The way to predict the future is to create it. Make sure your therapy is working for you.